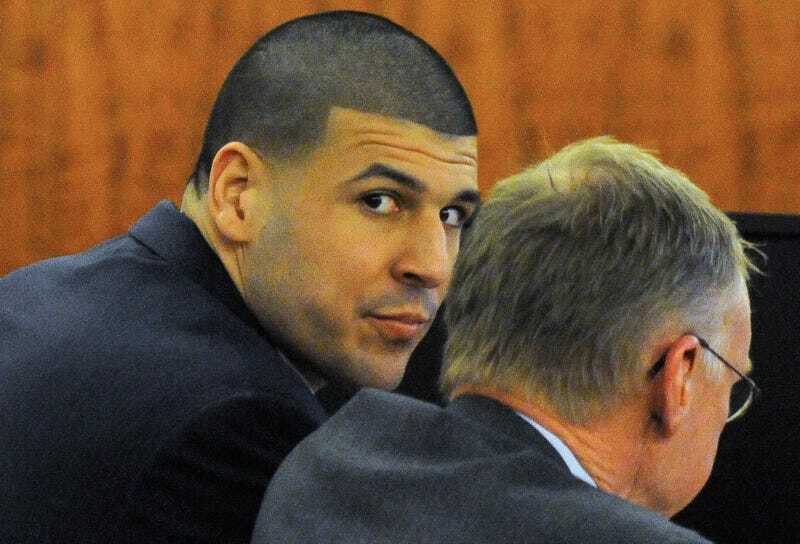 After more than 35 hours of deliberation, jurors convicted former Patriots tight end Aaron Hernandez of first-degree murder in the shooting death of Odin Lloyd. The jury found that Hernandez acted “with extreme atrocity or cruelty.” Pending an appeal, Hernandez faces a mandatory sentence of life without the possibility of parole. When the verdict was announced there were gasps in the courtroom, but Hernandez looked around and showed no reaction before sitting down. His family and that of Lloyd erupted in tears. Hernandez was also convicted on weapon and ammunition charges. The prosecution presented no murder weapon, no witnesses, and no motive, but a wealth of circumstantial evidence that put Hernandez (and two other associates) with Lloyd on the night of June 17, 2013. They were aided by Massachusetts’s “joint venture” law, which means prosecutors weren’t required to prove that Hernandez was the one that pulled the trigger.